Thursday, December 10th, I want you to buy some yummy cookies and take them to the firemen at the fire station. They will be so grateful! After school we went to the store and she picked out the cookies and treats she wanted. She paid for them and was very happy to be a big girl! 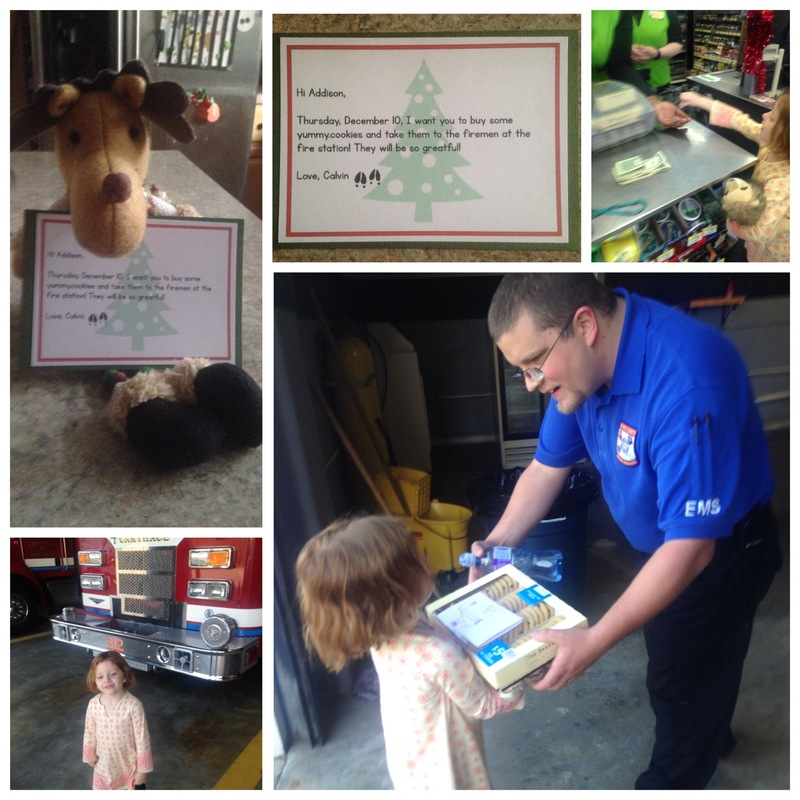 When we got to the fire station, they gave her a mini tour! She was in cloud 9! !